Bohemian chic meets charming Southern farmhouse at The Burch House. 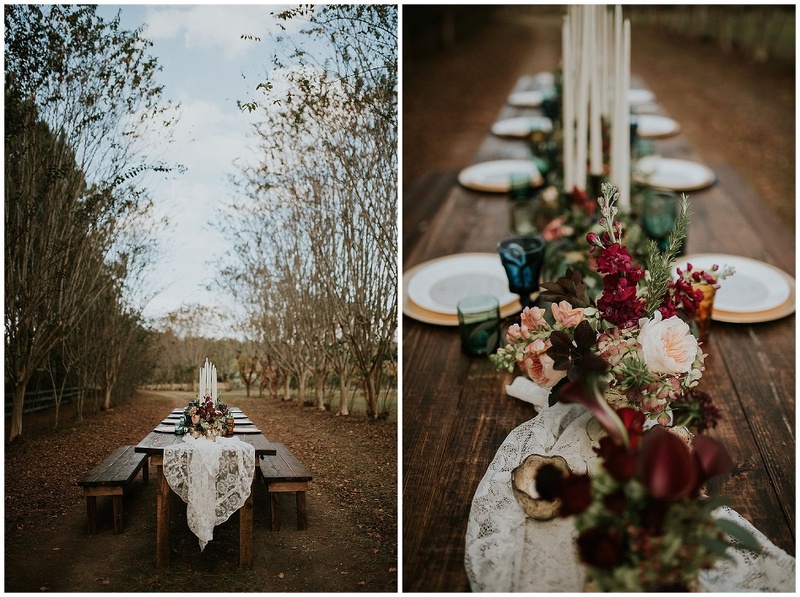 Access the expansive property located just five minutes outside the heart of Pace, Florida via a private, crepe myrtle-lined drive – the perfect backdrop for wedding photos. The almost 5,000 square foot main event venue is set amongst tall Southern pines with views of lush woodlands making a completely serene locale for a gathering all your own. 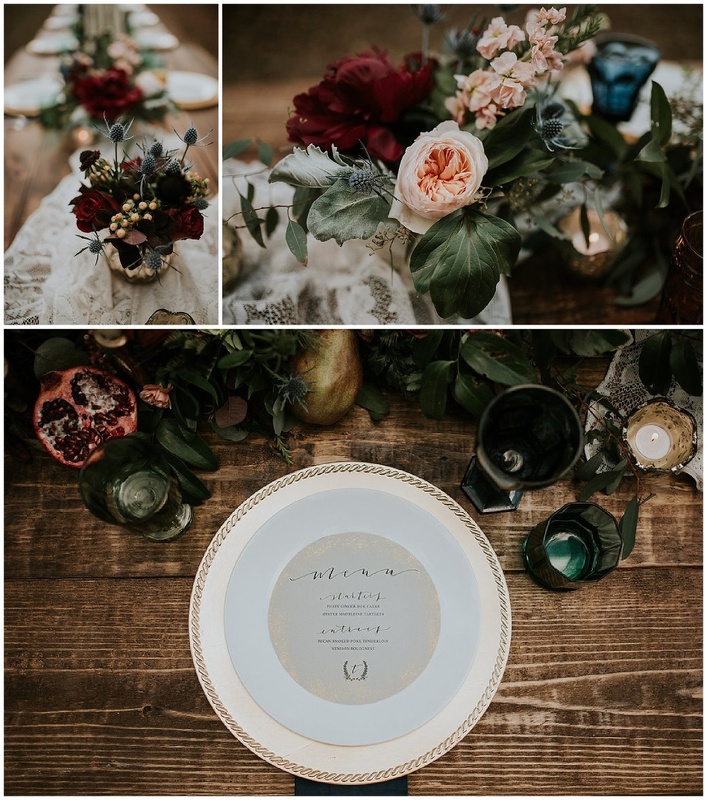 The space itself blends Southern charm and style effortlessly, offering endless opportunities to create a dream wedding or amazing backyard bash. When guests want to venture outside the incredible indoor space with 12 foot ceilings, rustic wood beams, antique double doors and farm pendent lighting, they can spill out onto the back deck and lawn overlooking two of the property’s fully-stocked ponds. Making advantageous use of the gorgeous scenery, brides may want to opt for one of the four outdoor ceremony venues including an open sided barn. the back-up location for your BIGGEST DAY is no red-headed stepchild. 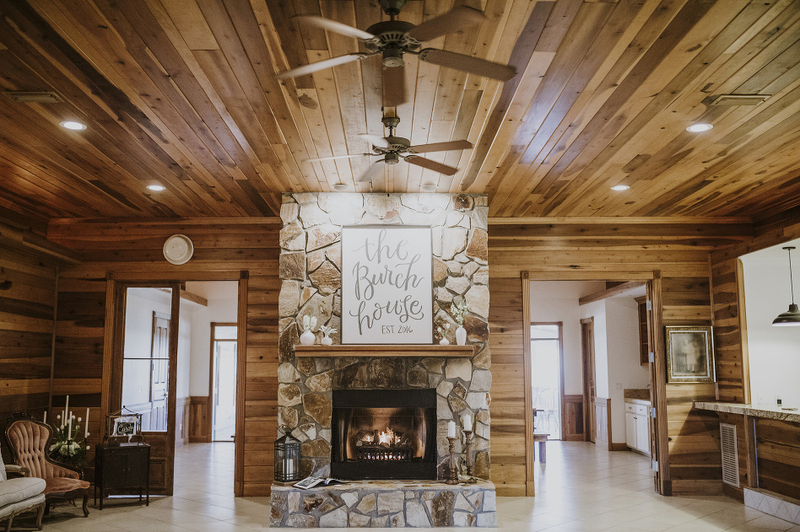 Make use of the main event space (The Burch House) or the Open Sided Barn for a spectacular ceremony venue almost as perfect as the great outdoors.